One of the mistakes that a lot of businesses make today is that they hire low quality writers in order to keep their business blog consistently updated with content. They don’t see their blog as something they want to invest a lot of money into, so they sacrifice the reader experience in order to get more content for less money. This is a huge mistake. It’s something that is going to severely jeopardize your brand, maybe even going as far as making it completely impossible for you to build your brand. The importance of paying high quality writers to keep up on your blog is significant. A professional copywriter will be able to produce content that is valuable and informative to the reader. It’s going to provide exceptional value and be extremely beneficial to them. This is exactly what you want to flood your blog with. By providing this type of content, people are going to value your word and your recommendations much higher. Paying low priced writers for low-quality content is not going to get you anywhere. Additionally, it’s going to make it very difficult for you to rank on search engines as well. 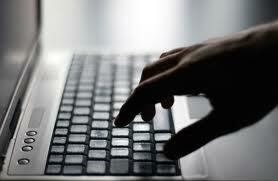 Professional copywriters spend a lot of time optimizing their content for search engines. The reason they charge higher prices is because they deliver better results. This is something that you need to keep in mind when you are hiring a writer. 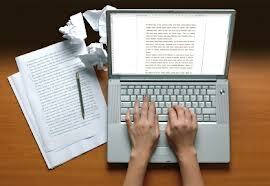 A professional writer is going to craft their articles and web page copy based on the experience of the user. They want to provide readers of your blog something useful. They are not willing to fill their articles with excess words just increase their word count and not deliver value. They want everything that they write to be in pristine condition so that they will exceed your expectations. For a business blog, it’s very important that you focus on this as well. Your expectations of your copywriter should be high when you are paying a significantly higher price. Make sure that they stay true to their word and are delivering excellent value on your blog. The topics that they cover should be extensive, every blog post should be at least a minimum of around 700 to 800 words. These are the kind of blog posts that people are going to really gravitate to and be surprised to find when they locate your blog by searching on Google, Yahoo or Bing. It’s true, your search engine rankings depend on the value of your content. You have probably heard it before, content is king. If you are paying for low quality content writers then there is no way your content is going to deliver exceptional value when it comes to your search engine rankings. High-priced writers are typically the only types of writers who can provide this type of value. They’re willing to go above and beyond to research your industry, find related keywords, and include those keywords in the content. A low-priced writer simply won’t have the time to do this. They’re going to rush the articles, getting the job done as quickly as they can so that they can move on to their next project and make more money. If you don’t believe me, try it for yourself. Go to a webmaster forum and hire a basic content writer that you can find for an average price on webmaster forums. The result you are going to see from the content will be very minimal when compared to what you could have received if you had forked out more money. Your blog is not the area where you want to be conservative with your spending on your website. 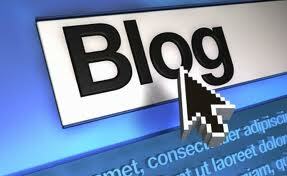 Blogs are the basis of any business, they are what attract attention on search engines and deliver results. Charles Dodgson works as a content strategist for WL Marketing SEO Services Company – a leading collaboration of Internet marketing experts with specialization in delivering affordable link building services and niche based SEO solutions to precisely improve the search engine rankings of websites, blogs, and web portals in quick time.